Welcome to our series, "Ready to Go! Book Display." Once a month we'll highlight the latest or greatest for every age group that you can promote within your library or order for your collection. This month we are getting ready to be more organized in the new year and make it pretty with planning and lettering books. Nowadays planners are gorgeous, colorful works of art - one part organization, one part art journal and two parts keepsake. 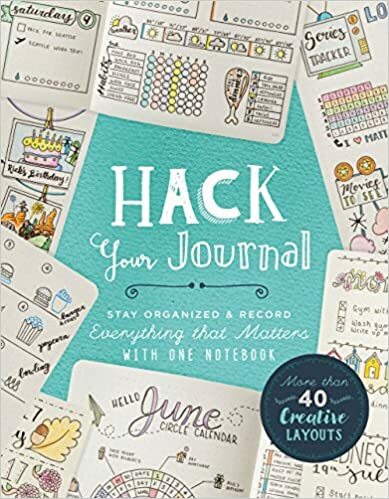 Loaded with projects, how-tos, tips, and tricks this book has all the information you need to tap into your creativity, take control of your to-do list, and craft a custom planner. The long-awaited book by the founder of the Bullet Journal organization system. This book provides all the information you need to eliminate mental clutter, focus on goals, and enjoy a creative outlet. It's a planner, a to-do list, and a diary for every aspect of your life - and Miller shows how to make a dot-journal work for you. If you're looking for clever ways to spruce up your diary or build a planner from scratch, this book teaches you how to design fun and functional pages that meet your needs. This guide contains an exercise for every day of the year, each taking 365 seconds or less to complete. From selecting the best tools and supplies, to forming your first simple letters, everything you need to begin your calligraphic journey is here. With 100 exercises divided into ten sections, this workbook offers a fun and friendly way to improve your lettering techniques every day. Learn to create beautiful, hand-lettered arts and crafts with this interactive book full of creative prompts, exercises, and step-by-step projects. This hand-letting workbook features hand-letting lessons for beginners, from playing with style and brush calligraphy basics to illustrated hand-letter designs and lettering styles. Young crafters will be introduced to the joys of hand lettering through fun and inspired projects. Some of the most accomplished artists present their favorite lettering techniques, illustrated with inspiring examples off their own work and accompanied by step-by-step instructions that kids can easily follow.